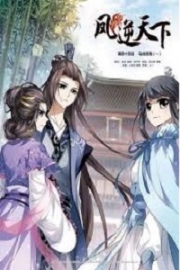 You’re reading novel Chaotic Sword God Chapter 380 - Leaving Longevity Valley online at LightNovelFree.com. Please use the follow button to get notification about the latest chapter next time when you visit LightNovelFree.com. Use F11 button to read novel in full-screen(PC only). Drop by anytime you want to read free – fast – latest novel. It’s great if you could leave a comment, share your opinion about the new chapters, new novel with others on the internet. We’ll do our best to bring you the finest, latest novel everyday. Enjoy! Jian Chen’s figure continued to free fall down toward the ground. Now that he had lost his Saint Force, a fall a hundred meters up in the air would inflict fatal wounds if it didn’t kill him outright. Unafraid of the threat of death, Jian Chen began to use his mind to control the wind elements in the world once more. In an experiment to regain control, he was finally able to break his fall just as he reached fifty meters above ground and thus avoiding danger. Letting out a deep breath as he shook off any lingering fear, he began to think. The power of flight seemed almost infinite, but it was not something to be played around with. If one’s control wasn’t flawless, then they would be risking their life. “Yes, I’m fine!” Jian Chen spoke with a slight amount of panic still in his heart. Xiu Mi began to impart his experiences with Jian Chen before explaining several tricks to Jian Chen. Then, he left to go back to the fields. After experiencing such an event, Jian Chen didn’t dare fly too high and instead remained only ten meters above the ground. For the next three days, Jian Chen spent the majority of his time practicing his ability to fly. It was fortunate that his ability to perceive was strong; it would normally take a person a month or two to be able to grasp the concept of being able to fly. In just a measly three days, he completely understood how to fly. Right now, Jian Chen’s ability to fly was as strong as his ability to walk on solid ground. He had absolutely no difficulties at all, and if he were to be blown by a fierce gale a thousand meters up in the air, he would feel nothing. He was as steady as a house without an iota of balance lost to the wind or even a risk of him plummeting to the ground. Even Xiu Mi could only exclaim in astonishment at the sight of Jian Chen mastering the ability to fly in three days. Applauding, he remarked that when he became a Heaven Saint Master, he had squandered two months on learning to fly. Today, Jian Chen was eating a meal with the rest of the family. Although Xiu Mi and elder Xiu no longer needed to eat, they had become used eating three meals a day and continued to live like regular people. “Jian Chen, Longevity Valley has at least a thousand kilometers to travel to get to the outside world. Furthermore, the road is filled with dangerous magical beasts, you’d best be careful.” The father, Xiu Mi, said with concern. The grandfather hadn’t spoken a word and continued to eat his morning meal in silence. After the meal and a goodbye, Jian Chen flew into the air and took off in the direction indicated by Xiu Mi. It was the way to leave the valley. Jian Chen was flying five hundred meters above the ground, only to feel the wind blow past his ears and under his legs. Right now, he was feeling a feeling he had never felt before, but he knew it made him happy. Flying through the air and running on the ground were two separate matters. Although he wasn’t as fast as when he used the Heaven’s Stolen Fortune and Illusionary Flash, he still traveled at a decent pace. His speed with the wind elements aiding him was slower than the third elder of the s.h.i.+ family, but he was barely expending any effort to move. With his strong mind, he could control a small amount of the wind to help him fly through the air without consuming much energy. This was the very first time that Jian Chen was flying through the air with his own power, so there was a feeling of fresh wonder. On the way, he continued to look all around him while appreciating the view. At that moment, a black cloud suddenly flew toward Jian Chen a small distance away. When Jian Chen saw the black cloud headed toward him, his eyes took on a sharp glare as he tried to see just what was coming at him. As it turns out, the black cloud was actually several hundred flying magical beasts. “So I came across a flock of Blackwing Birds!” Jian Chen had read about the Blackwing Birds within the library at Kargath Academy. These birds lived together in the mountains and had large bodies. A mature Blackwing Bird was the size of an adult human at the very least with a wingspan of ten meters. These Blackwing Birds weren’t Cla.s.s 5 Magical Beasts, they were generally Cla.s.s 3 or Cla.s.s 4 at the most. Without decreasing his speed, Jian Chen flew toward the flock of Blackwing Birds. Just as he got within ten kilometers, several trees from under the flock suddenly burst upward. In an explosion of splinters,the trees flew toward the flock like azure and violet shooting stars. Caught off guard, the Blackwing Birds were struck through their bodies by the trees and began to fall to the ground. In a span of a few moments, the hundreds of birds were all unable to resist with multiple wounds over their bodies, rendering them incapable of flight. Now that Jian Chen’s strength was equivalent to that of a Heaven Saint Master, a Cla.s.s 4 Magical Beast like the Blackwing Birds were no match. With Jian Chen’s ability to control any living thing with just his mind, he could fight against his enemy using the tactics of the majority against the minority. On the way, Jian Chen had come across three other disturbances with magical beasts. However, these magical beasts weren’t Cla.s.s 4, and were Cla.s.s 5 Magical Beasts. They all had an innate wisdom and instinct that warned them to not attack any person that could fly. Four hours later, Jian Chen had traveled two thousand kilometers before arriving at a mountain range. Then, after another hundred kilometers, he finally arrived at the battleground where he fought the eight Heaven Saint Masters. Without any further hesitation, he quickly flew forward another hundred kilometers to the place where he had hidden the white tiger cub. It didn’t take long for Jian Chen to arrive there. Slowly descending to the ground, he came to the tree where he had hidden the tiger cub. The moment he saw that the cover was gone and the tree barren, he realized the tiger cub was nowhere to be seen. This was not a surprise for Jian Chen, he had spotted the traces earlier and tried to track where the tiger cub had gone. After some time, he wasn’t able to find anything. Jian Chen began to grow solemn by this point, but he was not frantic just yet. Although the tiger cub was lost, he still had a method of finding the tiger cub. Immediately rising up from the ground, he flew toward Mingyang City. An hour later, he arrived in the skies above and without any form of concealment, flew into the city in front of everyone’s eyes. By now, Mingyang City had already returned to its normal state. The frenzied mood they had been in while looking for the tiger cub had long since past and even the portraits of Jian Chen’s face had been taken down. After the second day of Jian Chen’s departure, all news relating to the event had disappeared. But when Jian Chen flew into the sky, he was instantly spotted by the people down below. Each one raised their heads to the sky and dropped their mouths in shock. Quickly, news began to circulate around the city and thus everyone became aware that a Heaven Saint Master had arrived in their city. The city lord’s mansion was the very first to grab hold of this information and immediately dispatched some soldiers to greet him. In this era where Saint Rulers secluded themselves from the world, Heaven Saint Masters were widely regarded as the top of the pyramid on the continent. For a Heaven Saint Master to come to Mingyang City, that was no small event. Within the Huangpu clan, the affair that had happened sometime ago had no major impact on their clan. The entire compound was calm once more and several troops patrolled around the compound as a way to guarantee their safety. At that, the soldiers lifted their heads to the sky one by one, and when they looked, they were instantly stunned and their eyes grew as wide as dinner plates. A simple clothed person was slowly descending from the sky just three meters away from the squadron. “Heav… Heaven… Heaven Saint Master!” The captain had a look of utter shock as he stared at the young face of Jian Chen, unable to believe his eyes. For a youth this young to reach the realm of a Heaven Saint Master, it was almost completely unheard of. “Re… respectful sir, I am the captain of unit three of the Huangpu clan, how may I serve you?” The captain tried to quash the surprise in his voice, but had stuttered as he spoke to him. Jian Chen cast a glance at the guard briefly before waving his hand, “This place doesn’t concern you, go do whatever you were doing.” With that tone, it was almost as if Jian Chen was the master of the Huangpu clan. The captain didn’t make any objections and only respectfully saluted him in response before bringing his guards away from the area. 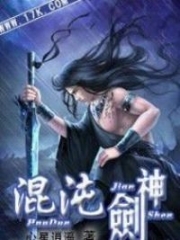 You're reading novel Chaotic Sword God Chapter 380 - Leaving Longevity Valley online at LightNovelFree.com. You can use the follow function to bookmark your favorite novel ( Only for registered users ). If you find any errors ( broken links, can't load photos, etc.. ), Please let us know so we can fix it as soon as possible. And when you start a conversation or debate about a certain topic with other people, please do not offend them just because you don't like their opinions. You're reading Chaotic Sword God Chapter 380 - Leaving Longevity Valley. This novel has been translated by Updating. 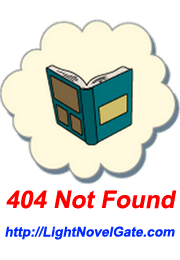 Author: Xin Xing Xiao Yao already has 11783 views. Current Time is Apr-23-2019 00:09:30 AM.